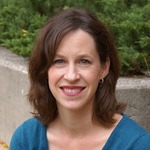 Amanda Dempsey is a pediatrician and researcher at the University of Colorado Denver in the Adult and Child Consortium for Outcomes Research and Dissemination Science (ACCORDS). She has spent the past 15 years studying vaccination among children and is a passionate supporter of childhood immunization. With more than 75 publications in this field she is recognized as an international expert in the field of vaccine delivery. Much of her work focuses on developing and assessing interventions to help parents feel more comfortable about deciding to vaccinate.